Maldon Sea Salt Flakes are beloved by many celebrity chefs. For many chefs, salt is not only an essential component to the base of a dish, but it also provides the finishing touch that takes food to that restaurant-quality level. Opting for a high-caliber brand with the right consistency can be important to create just the right texture. And one brand many chefs have adored for ages is Maldon Sea Salt. It's usually pretty pricey, but now a tub that weighs over 3 pounds is available on Amazon so we can all be super star chefs of our own kitchens! 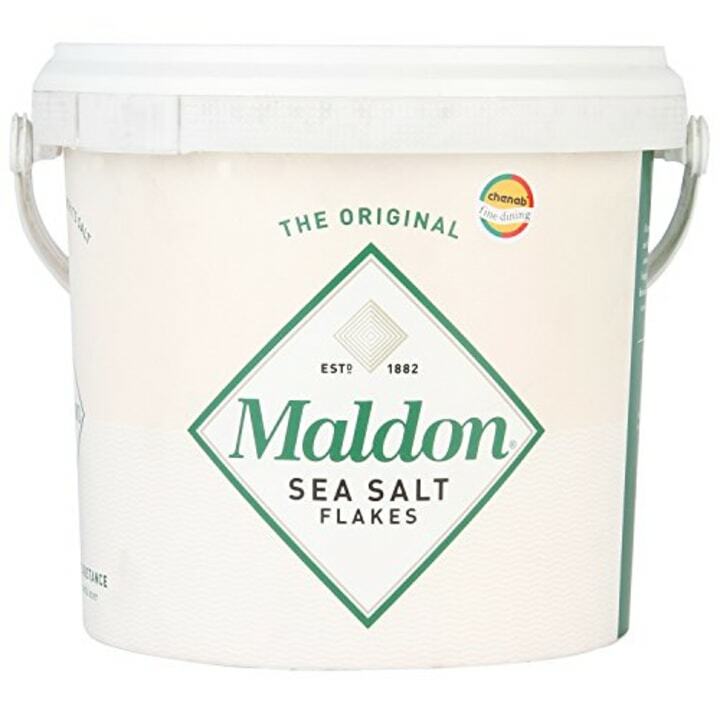 Maldon Sea Salt Flakes are named for the coastal English town where they have been sourced since 1882. It's collected from the shorelines, handcrafted in small batches and has a distinct, flaky shape that comes from the pyramid-shaped salt crystals. That particular flakiness is the reason many chefs, celebrities and foodies adore it. 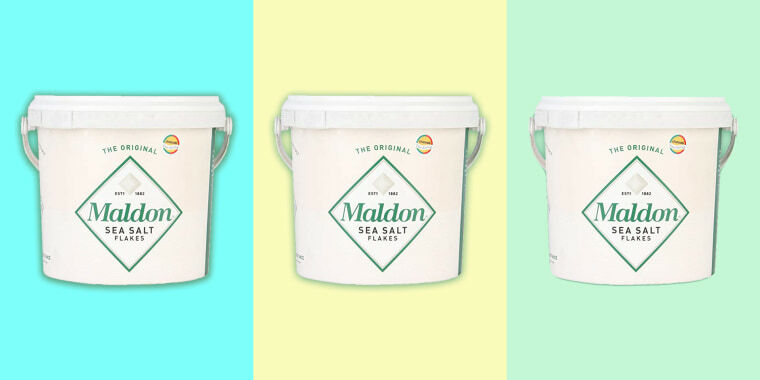 Ina Garten, for example, divulged that Maldon is one of her top three salt brands and it's always in her pantry. While kosher salt — which is similar in taste to Maldon but has a coarser texture — is her favorite for cooking (she prefers Diamond Crystal Kosher Salt), flakier brands like Maldon or fleur de sel are the best for topping off dishes. Sea and kosher salts are often sourced from ocean and salt water and minimally processed, allowing leftover traces of minerals to remain (this is why the colors can vary from pink to brown, gray and even deep black), according to Mayo Clinic. These salts differ from standard table salts like iodized salt, which is often mined underground, processed to get rid of minerals, ground into sand-sized crystals and usually treated with a minute amount of iodine. 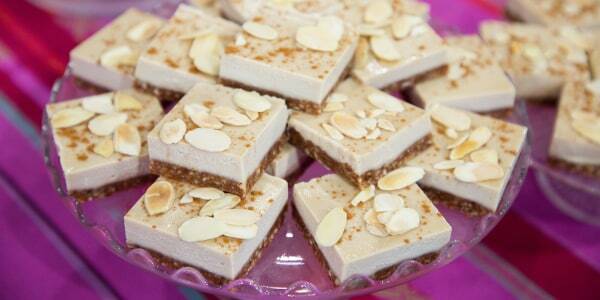 Maldon can be used to top everything from steaks to gourmet appetizers and even beautiful desserts. Martha Stewart uses Maldon to complete her simple and naturally spicy Blistered Padron Peppers and Kristen Bell, Gwyneth Paltrow and Cameron Diaz are also all big fans of the British salt. Thanks to Amazon, these fancy flakes can be delivered straight to your door at a decent price — and this giant offering will last you through plenty of home-cooked meals. The specialty salt is also available at retailers like Whole Foods and Williams Sonoma, where it costs $11 for an 8.5-ounce box. While Walmart carries the giant tub for $43 (on sale from $52) and the 8.5-ounce box for $8, other mainstream grocers typically sell the salt in a smaller size. To get the same amount of this highly prized salt in its regular-sized box, fans would have to fork over almost $68 if buying from specialty stores like Williams Sonoma. With giant tubs of high-end British salts available at the click of a button, everyone can become a domestic goddess in the kitchen — just like Garten and Stewart — in no time.